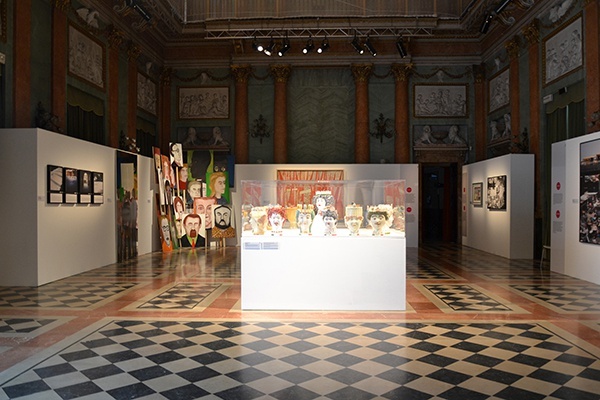 The exhibition “Com’è viva la città. 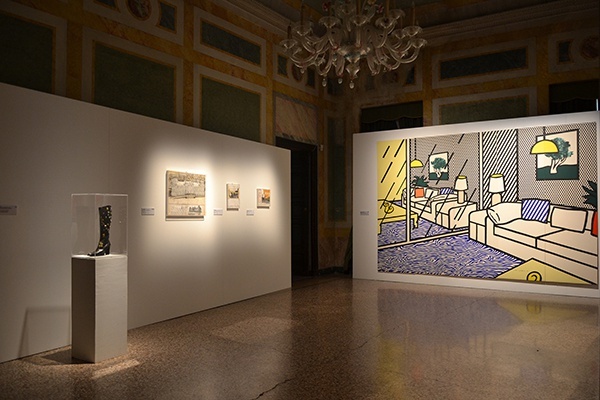 Art & the City 1913-2014”, held in the historic Villa Olmo of Como, brings together over fifty works that span various media, formats and styles to look at daily life through the eyes of Italian and overseas artists. It is a century long overview of the emergence, development and ultimately the success of the modern city. 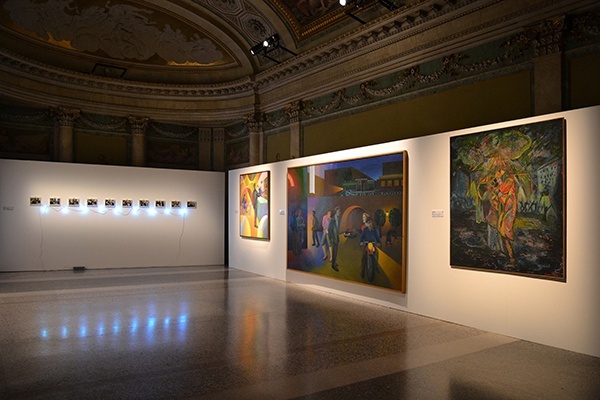 Giacinto Di Pietrantonio, internationally renowned art critic, Director of GAMeC–The Galleria of Modern and Contemporary Art in Bergamo and professor at the Brera Academy of Fine Arts in Milan, is the curator of the final stage of the City Council’s three-year plan for the now well established appointment with the arts in the Città di Como. 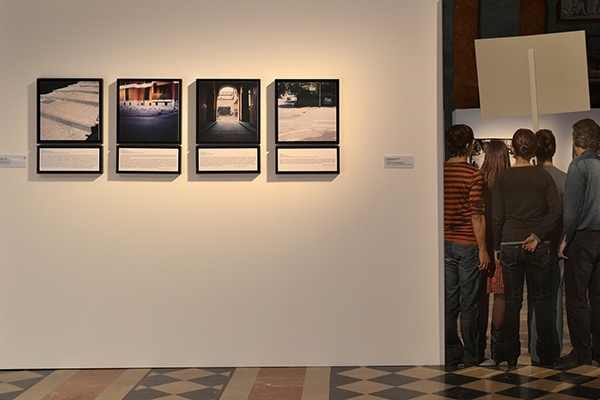 While the previous exhibitions “La città nuova oltre Sant’Elia” [“The new city beyond Sant’Elia”] (2013) and “Ritratti di Città” [“Portraits of the City”] (2014), the idea for which came from the Councillor for Culture Luigi Cavadini as studies of the theme of the city, focused attention on the physical location and an architectural and tangible entity, the new exhibition examines the substrate of the city itself. That is to say the ferment, the interweaving of human relationships, the contradictions and all the diverse lives and lifestyles that go to make up the city, which is fundamentally a hub of social life. The city appears as a complex organism that is multi-faceted with many different centres. It is a place that inevitably reflects the changes in society that lives: through performance (Debord), communication (McLuhan), liquid (Bauman), its non-places (Augé), the culture industry (Morin) and control (Foucault). To put together a string of captions that summarise all these nuances of the lives that animate the city would be impossible. It is however possible to analyse its narrative structures and its public events. “Com’è viva la città. Art & the City 1913-2014” is an exhibition that points to the main threads of everyday life, showing how they unwind in macro subject areas within which traditional figurative works illustrating the places and the activities of the city coexist with abstract and metaphorical works that likewise depict in the dynamics of the city. 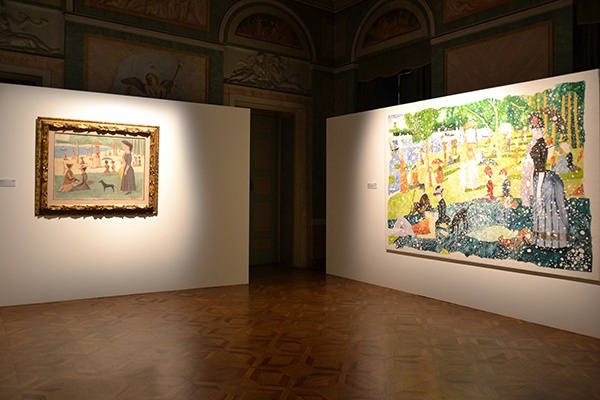 The exhibition should be seen as a narrative acted out between the poles of realism, actions and symbols. It seeks to infiltrate the structures of the daily and historical events of the metropolis. 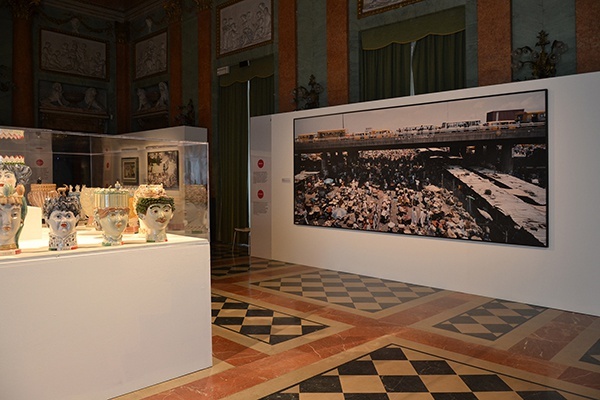 The exhibition rests on an ancient premise that the city is not just an architectural construct but an organism that is both living and lived in. Its arteries are the routes carrying Maselli’s cars, the trains of Bartolini or the passers-by of Moriyama. It is home to the crowds that hold their demonstrations and rallies as in the works of Turcato and Cingolani. There are of course also the emblems and symbols of the big cities, be they architectural or natural, whether Warhol’s Vesuvius that leads us naturally to Naples or the land-art projects of Christo in Paris and Berlin. The city is however also made up of the relationships between the inner and the outer, exacerbated by the transition from modernity to postmodernity and beyond. 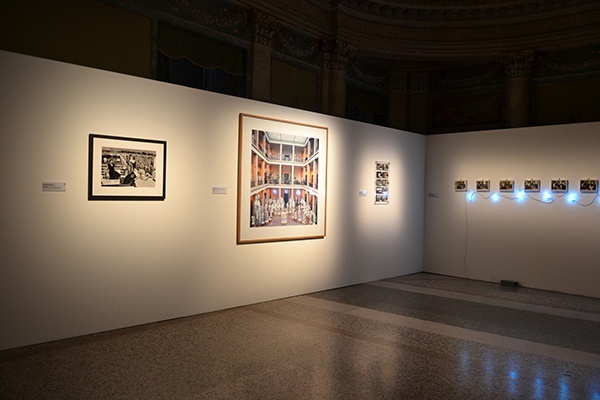 This transition between public living and the intimacy of the personal and private is well described in the interiors of de Chirico, Savinio, Casorati, Pistoletto and Lichtenstein, as opposed to the bars by Chia, the parties of Cattelan and the swimmers portrayed in the photographs of Newton. These record a modern era in which for the first time in history the concept of leisure time came into play. There are then also those athletic bodies in the works of Radice and Campigli, sports places in the work of Toderi and the public parks from Jori and Vitali. Inevitably the city provides places for economics and trade, and many are the artists who have set about depicting the goods and the places they are traded, such as Longoni, Beecroft and Linke whose works critically address the theme of human exchange. There simply had to be a reference to communications, with New York’s advertising hoardings in the photographs of Moriyama, and the communications in the work of Vespignani. 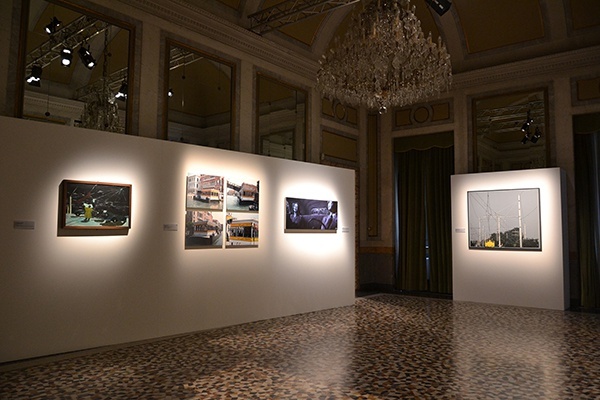 The city also become a place of conflict and of terror, of conquest and of risk, variations of all of which can be seen in the works of Frapiccini, Kiefer and Bajevi?, who sees the felling of the Twin Towers as a historical and city watershed, with explicit reference to the inevitable rebirth. 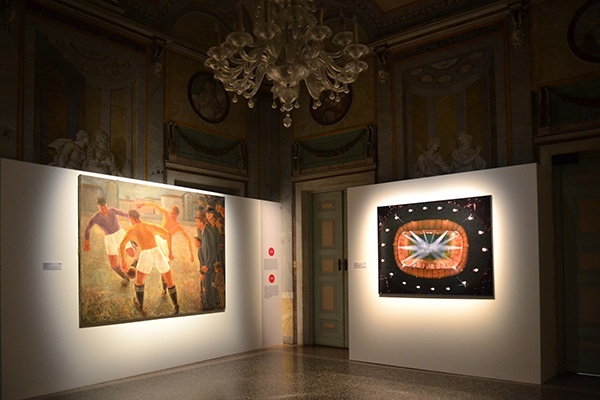 There is a full calendar of activities and events that make up the exhibition “Com’è viva la città. 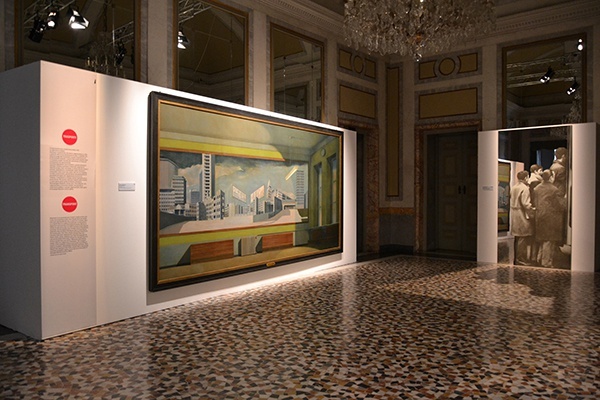 Art & the City 1913-2014”. 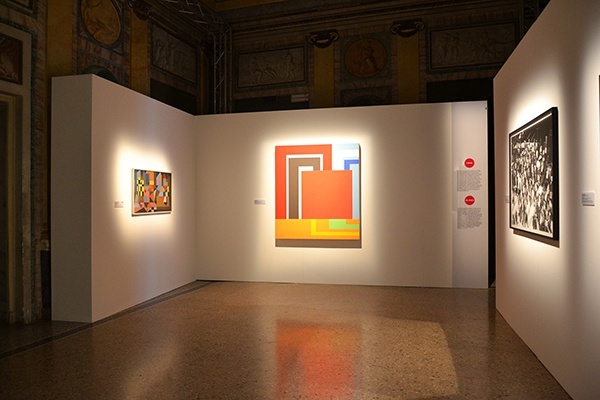 The title refers to a song by Giorgio Gaber and is conceived of as an unmissable event dedicated to the city as seen by leading artists working in the last century. 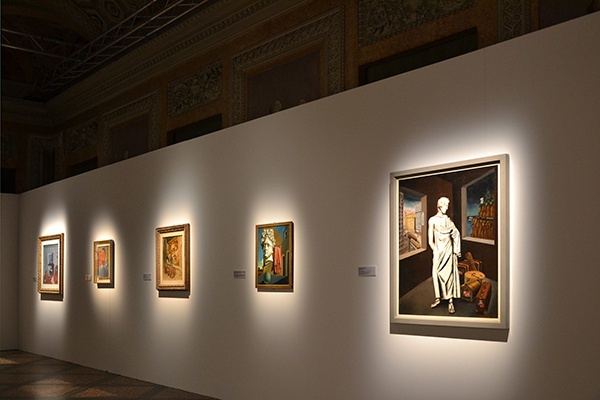 It also represents a unique opportunity to enjoy many works of international importance, some from private collections, which have been but rarely exhibited to the public, while are others have come from major museums such as the Castle of Rivoli, Mart in Rovereto, the MAGA in Gallarate and GAMeC in Bergamo. 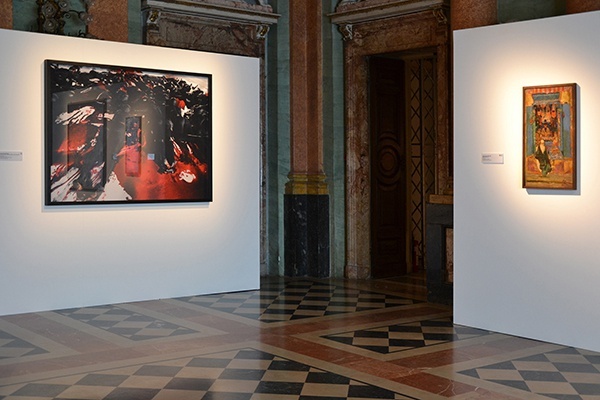 The charming setting of historic Villa Olmo confers on the exhibition a quite unique flavour. Tradition has it that the Villa was given its name of the “Elm” long ago due to the presence of two magnificent specimens that grew in its grounds. It was built in the neoclassical style between 1782 and 1787 by the Swiss architect Simone Cantoni who was commissioned by Innocenzo Odescalchi. It passed in 1824, on the death of the Marquis Odescalchi, to the Raimondi family, who played hosts to many famous figures in Italian and European history. It was sold in 1883 to the Dukes Visconti di Modrone. 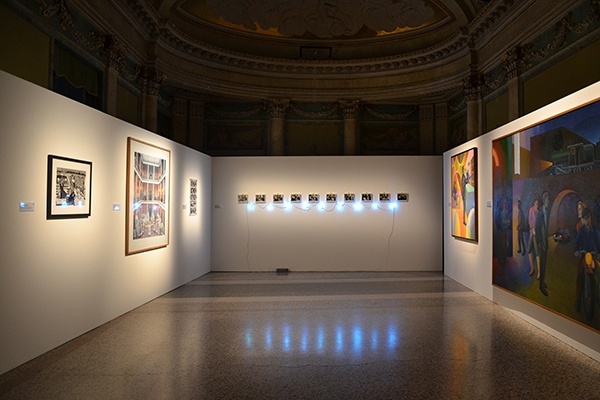 In 1925 it was conveyed to the Municipality of Como on the occasion of the centenary of the death of Alessandro Volta, when it staged the International Exhibition dedicate to Volta. Today the Villa is famous for its prestigious exhibitions, events and conferences. Its fine park overlooks the lake and offers enchanting views while quickly and directly connecting with the city of Como itself. A walk, punctuated by the classical architecture of the many stately homes takes the visitor to the old town which is suffused with a medieval atmosphere, has many Renaissance and Baroque features and also other striking and much more recent and famous constructions designed by the Rationalists. It is an essential destination at less than an hour from Milan, which is of course this year home to Expo 2015. 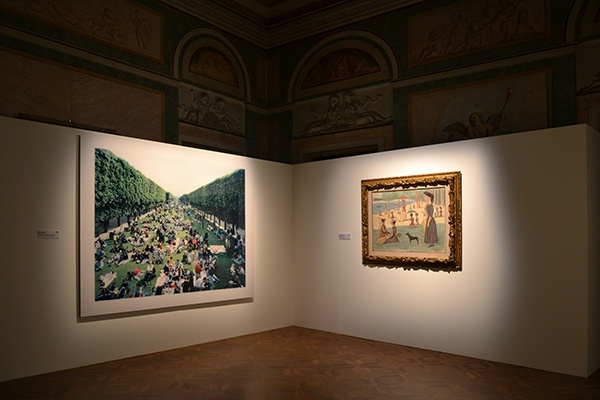 Courtesy: the artists and Villa Olmo, Como.